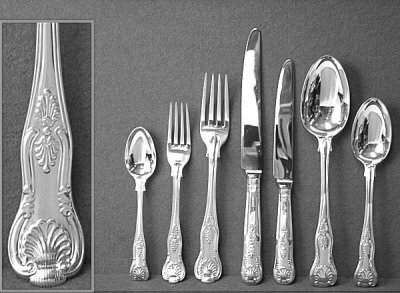 Looked in the drawer and realised you don't have quite enough cutlery for your event? Don't panic, we can sort you out. 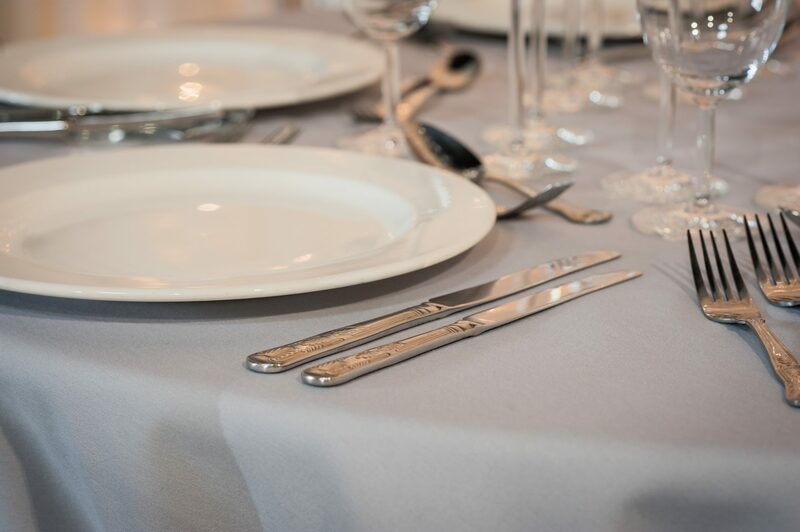 Whether its for fine dining or a large corporate event, we carry large quantities and a great selection of different cutlery sets for hire across Ireland. 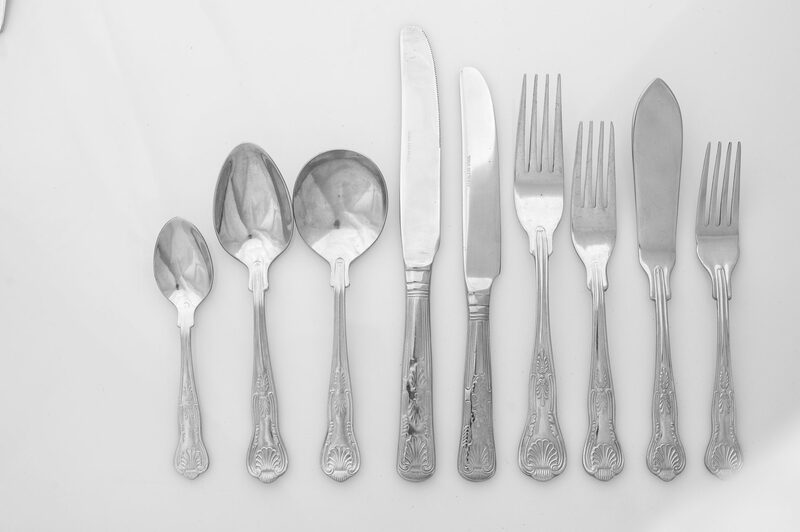 From traditional embossed Kings Pattern cutlery, to our plain and contemporary Virtu cutlery, our well balanced ranges help ensure that every piece is comfortable to hold and use. 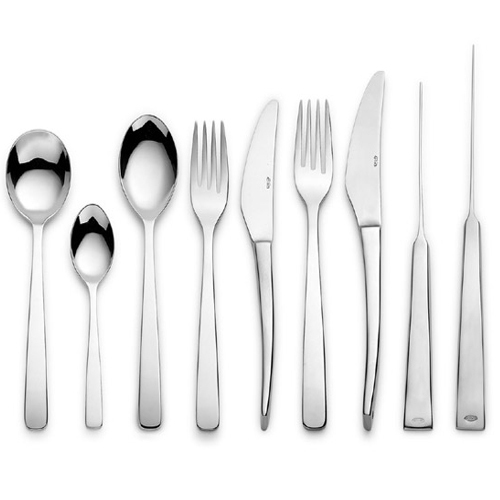 Want to bring a touch of elegance to the table? 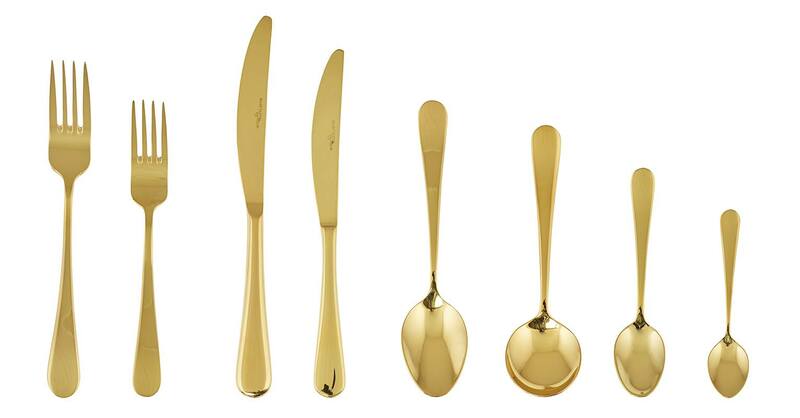 Gold cutlery is the latest trend this season. 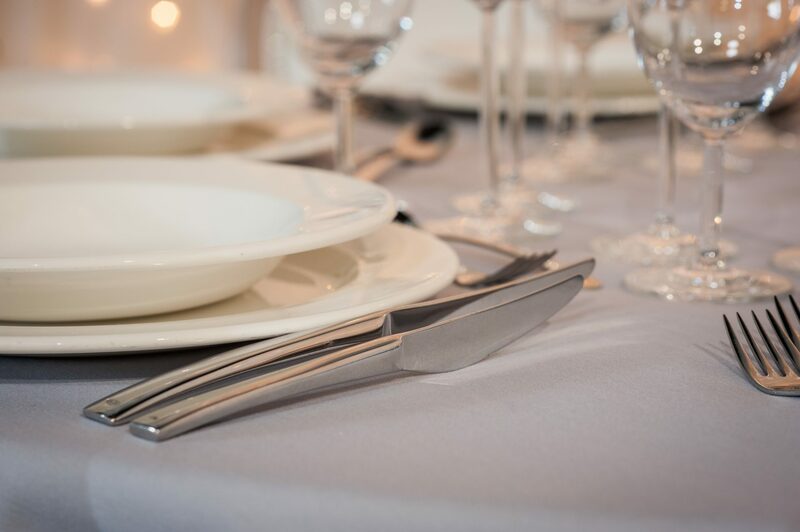 With very elegant and sophisticated lines, our Victoria gold cutlery will complement any reception table.